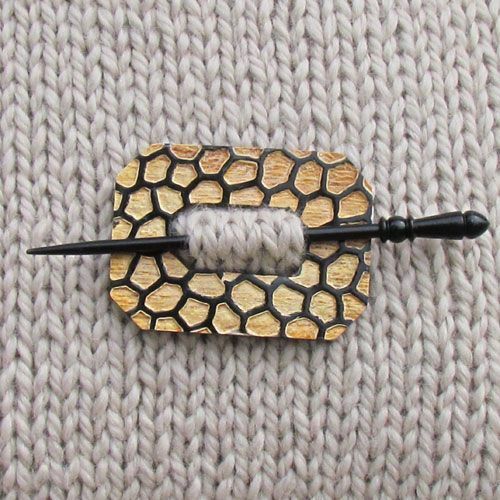 This shawl pin from Plymouth Yarn offers two looks in one shawl pin. The front has a geometric design burned into the horn while the back is a classic all black horn coloring. 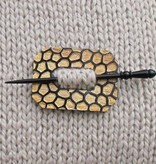 The shape of this shawl pin isn't exactly square or oval... it's consdered squoval. Made in India.